Never give up! This quote applies 100% to Jennifer Lawrence newest drama movie Joy; where she stars again with Bradely Cooper and Robert Di Niro. The movie is about Joy (Jennifer Lawrence) who took some bad decisions that forced her to give up on her childhood dreams (to make new inventions) and become successful to support her not so perfect family. Jennifer Lawrence gave her best performance! We fell in love with her after we gave up on The Hunger Games series that bored us because of the lack in the warmth acting and the ability of Jennifer to be closer to the spectators. 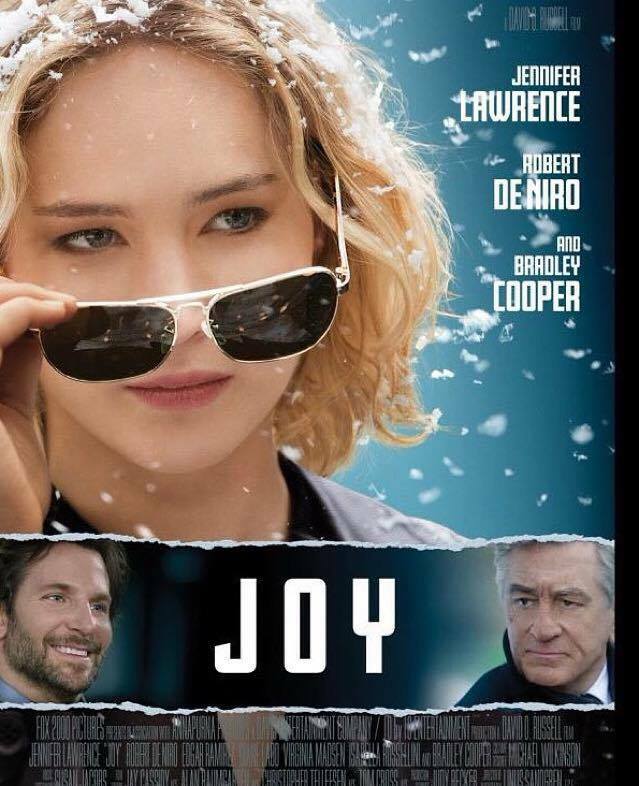 In this movie, we cried, laughed and hold our breath each time Joy was on the verge as if we were part of her family. Joy is very well directed and is straight to the point; there is no unnecessary filling. It is our favorite movie in cinemas right now. Don't miss your chance to watch it and start your new year with JOY!